A report released by Oxfam on the 21st January 2019 entitled ‘Public Good or Private Wealth?’ has called for an end to the widening global gap between rich and poor, and men and women. The rich are getting richer while the poor are getting poorer, with the world’s 26 richest people owning as many assets as the 3.8 billion people that make up the poorest half of the world’s population. The world’s richest people’s fortunes increased by 12% in 2018, while the wealth of the poorest half of the world’s population fell by 11%. In 2017, 43 billionaires owned as much as the poorest 50%, but this dropped to 26 in 2018. The wealth of the world’s 2,200 billionaires increased by $2.5 billion per day in 2018. Jeff Bezos, the owner of Amazon and the richest person in the world, saw his fortune increase to $112 billion in 2018. Just 1% of his fortune is the equivalent to the whole health budget for Ethiopia, a country that has 105 million people. Oxfam’s report also highlights the need to address gender economic inequality, and in particular the hours of unpaid work that many women face. Women earn 23% less than men globally, and men own more than 50% of the total wealth than women in the world. On top of this, our economies function on the millions of hours of unpaid work (caring for children, the elderly and the sick; cleaning, cooking and collecting water) which is mostly carried out by women due to unjust social attitudes. 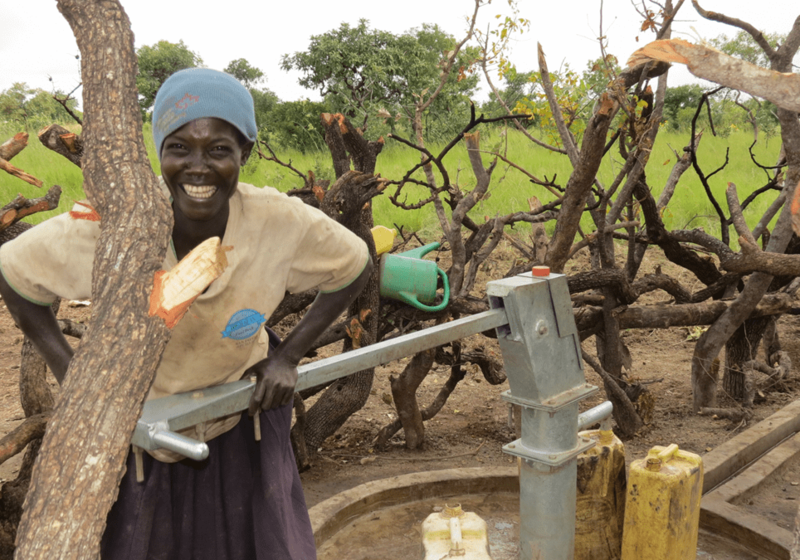 In Sub-Saharan Africa, 37% of people have no access to improved water sources and 65% have no electricity, which significantly drains their time and quality of health and life. 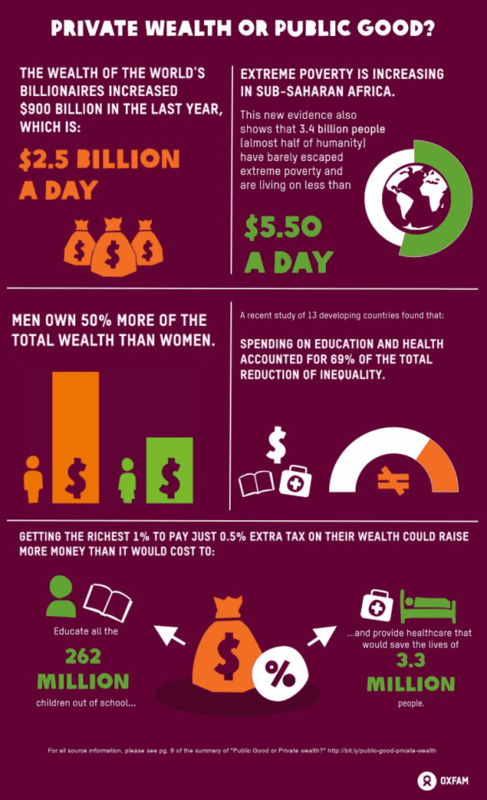 Oxfam affirms that this level of inequality doesn’t have to be the norm. Governments should honour their commitments under Sustainable Development Goal (SDG) 10 and take action to work towards a fairer and more equal world. It will require public financing and overcoming powerful political interests, but it is necessary for greater social cohesion. This widening gap between people is fueling the rise in authoritarianism and crime, and diminishing trust in society. Oxfam is calling for more taxation on the wealthiest people and corporations to help heal this gap between humans and equality. A 1% wealth tax would raise $418 billion per year which would be enough to educate every child not in school and provide healthcare that would prevent 3 million deaths. At Aidlink, we are committed to working towards a fairer and more equal world and support Oxfam’s key recommendations for universal and free social services, gender equality and fair taxation. Aidlink work in partnership to strengthen civil society organisation in Kenya, Uganda and Ghana, and to fight for the rights of some of the world’s most vulnerable people.